This is the home screen of the software. 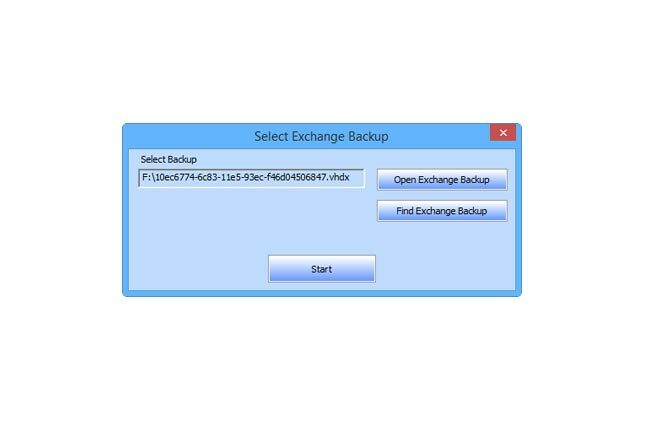 You have two options either to Open backup file or Find the Exchange backup file which you want to recover. 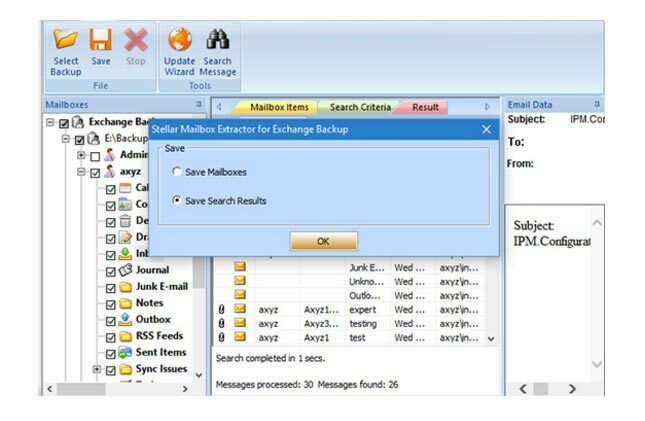 Click Find Exchange Backup button if you don't know the exact location of the file. 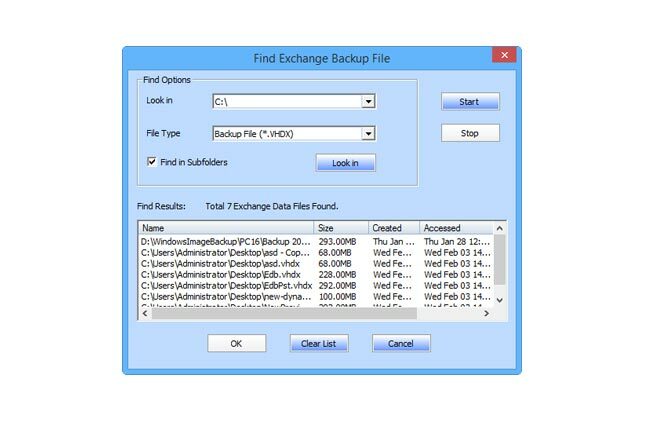 Select the drive form the Look in dropdown where Exchange backup file could be saved and select the Exchange backup file types, either .bkf or. vhdx and click Start. 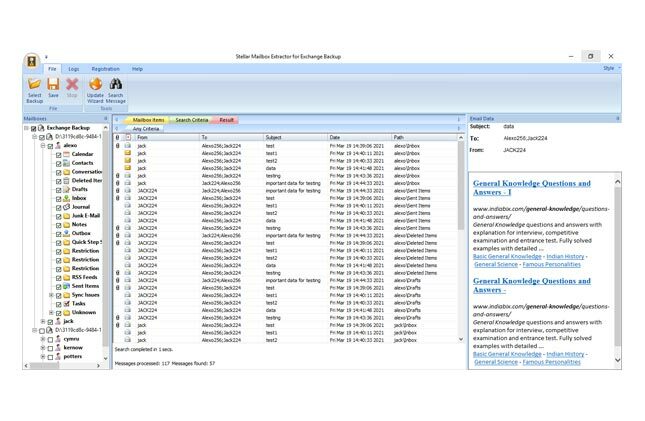 This software will automatically find and show all the stored backup files in the selected volume in Find Results section. 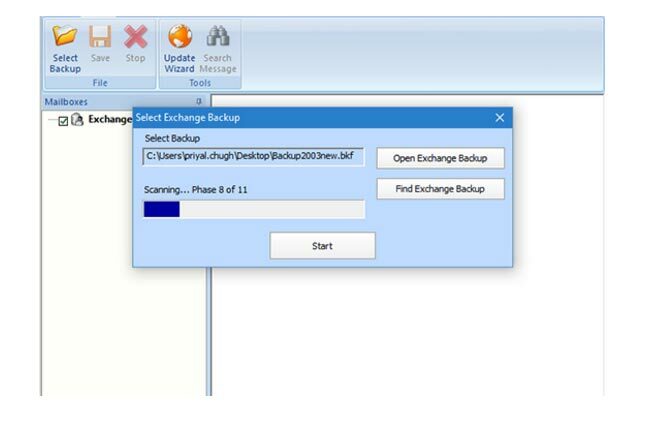 Once you find the desired Exchange backup file, select it and click OK. Now click Start to initiate the file scanning process. The progress bar shows the scanning process. 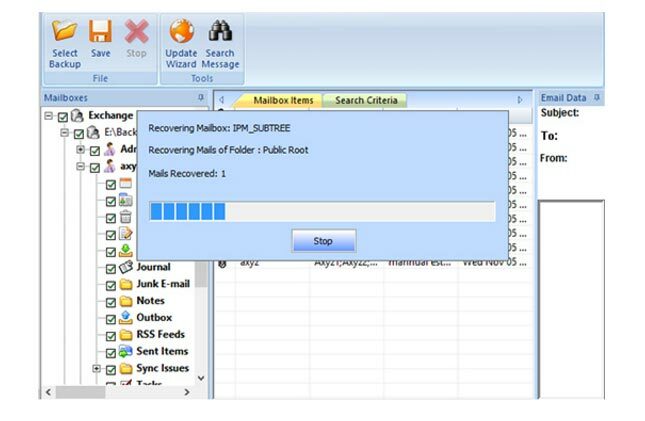 All the recoverable mailboxes and their folder(s) from the scanned backup file will be listed in left side tree. You can select any individual mailbox item or all of the mailboxes which you want to recover. 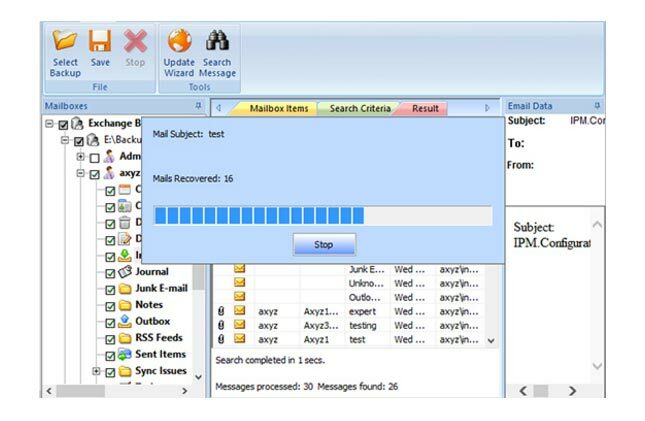 The process bar shows the current status of saving PST file. File has been saved at the desired location. Click Open containing folder to open the saved file. 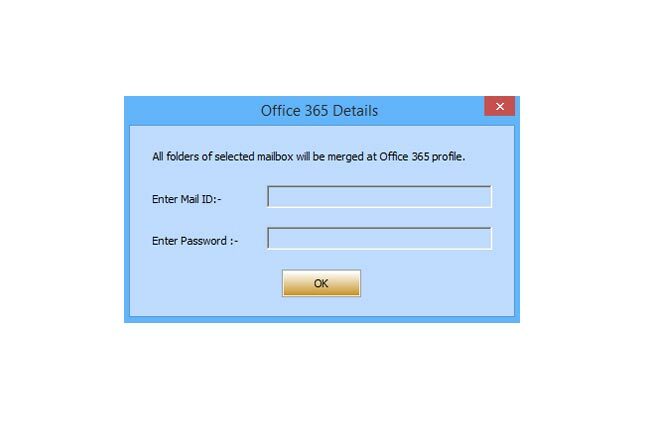 Select the mailboxes you want to export to Office 365 and click Export to Office365 Mailbox option by right clicking on the folder(s) which you want to export. 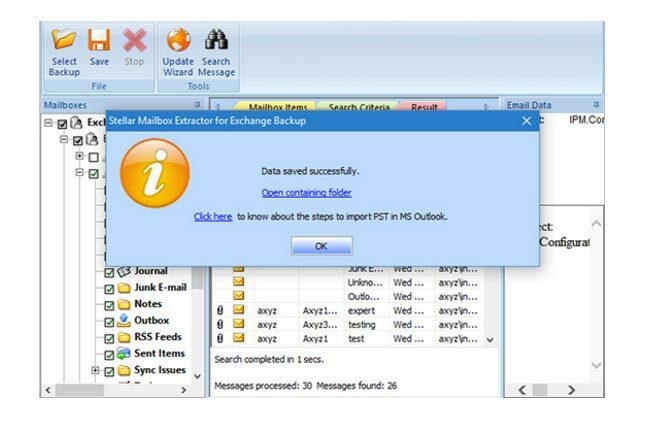 Select the recovered mailboxes you want to export to live Exchange server mailboxes and click Export to Exchange Mailbox by right clicking on the folder(s) which you want to export. 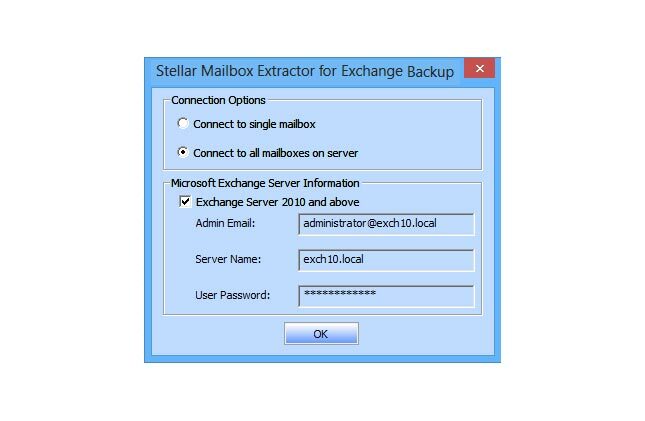 Enter Exchange server credentials to export the mailboxes content directly to Connected live Exchange server mailboxes. 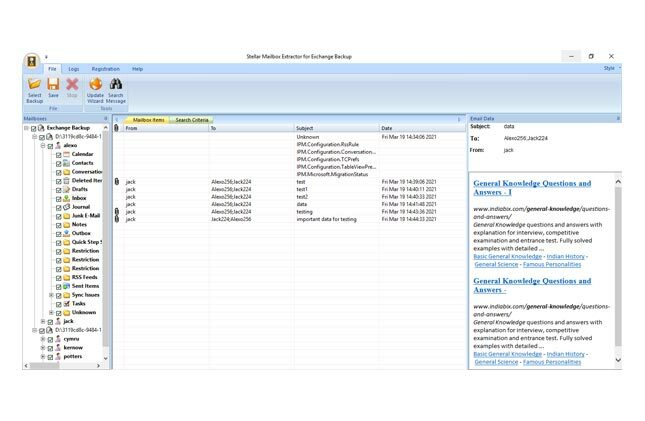 Now select the connected mailboxes in which you want to export recovered mailboxes data. 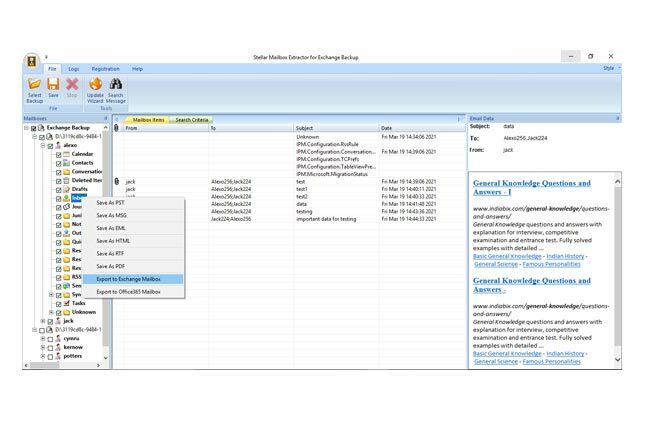 Search specific mails from the recovered mailboxes based on the various search criteria. 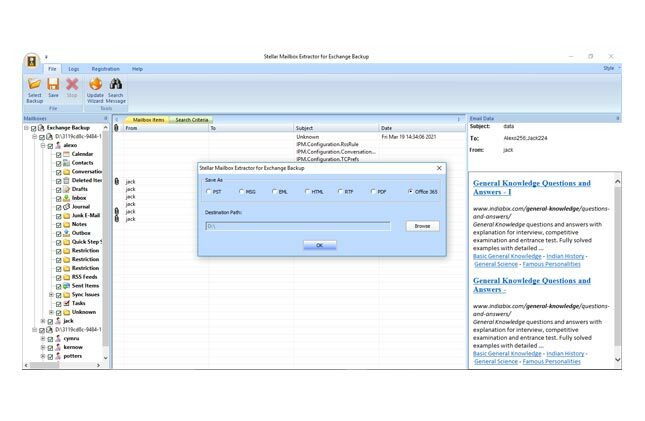 Search results (emails) will be displayed based on the filtered criteria. Select Save Search Results option to save the filtered emails. 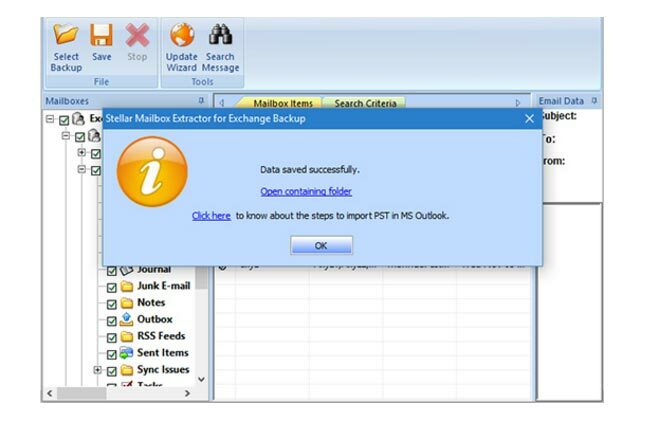 We've selected PST option here to save the emails in PST form. Select the location where you want to save the file. 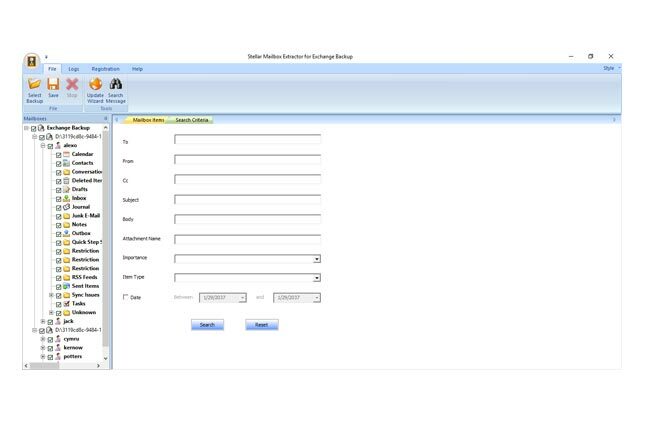 However, you can choose multiple formats to save the file. The process bar shows the current status of saving the search results.